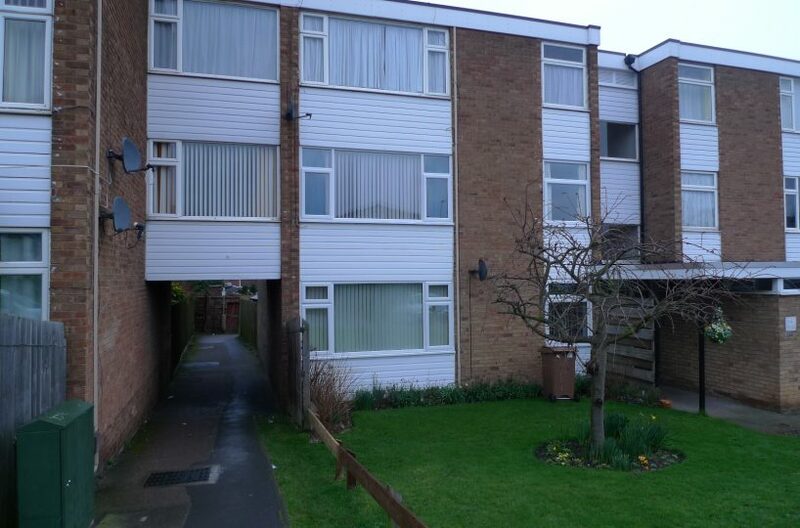 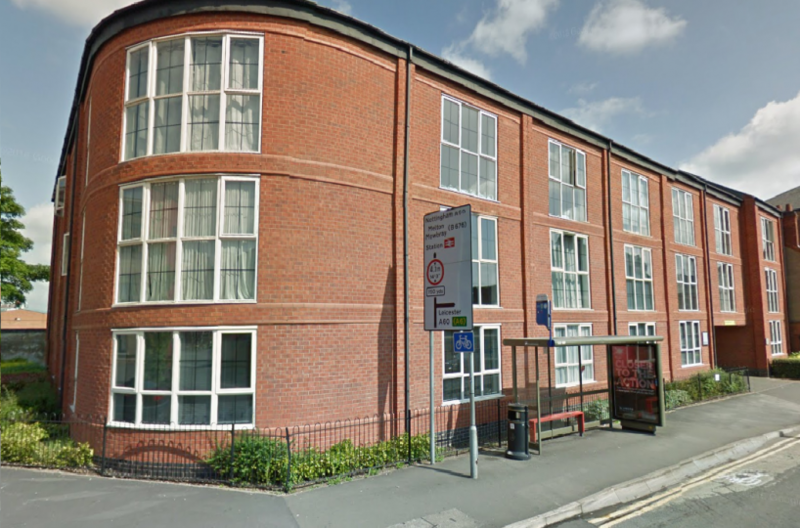 Villency Court , 62 Nottingham Road, Loughborough, LE11 1EB. 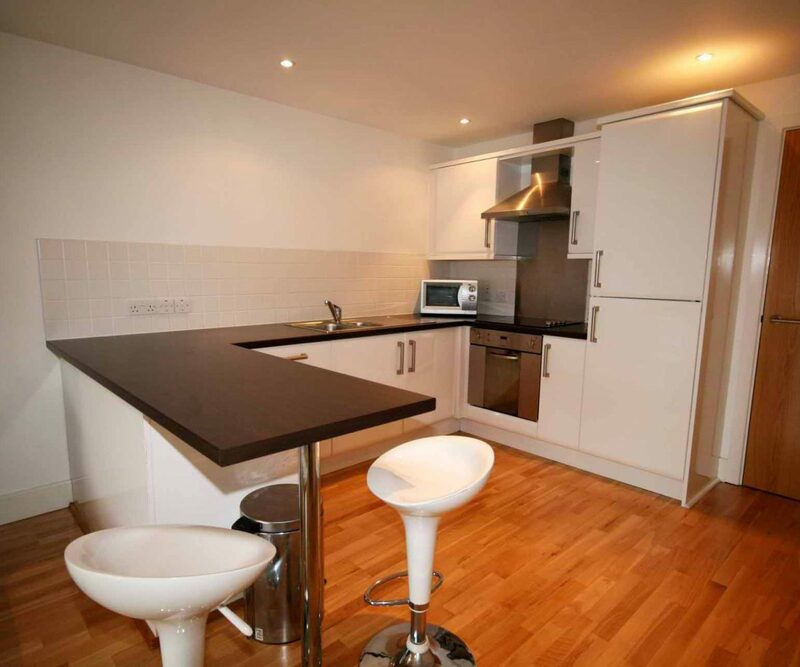 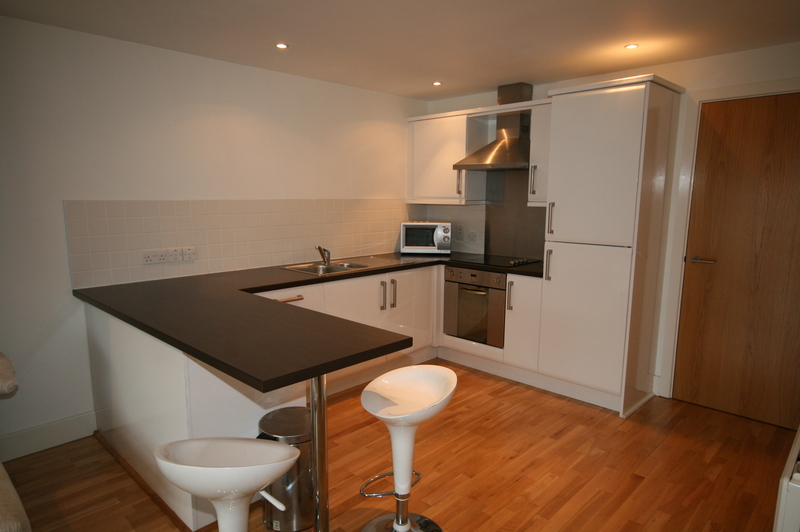 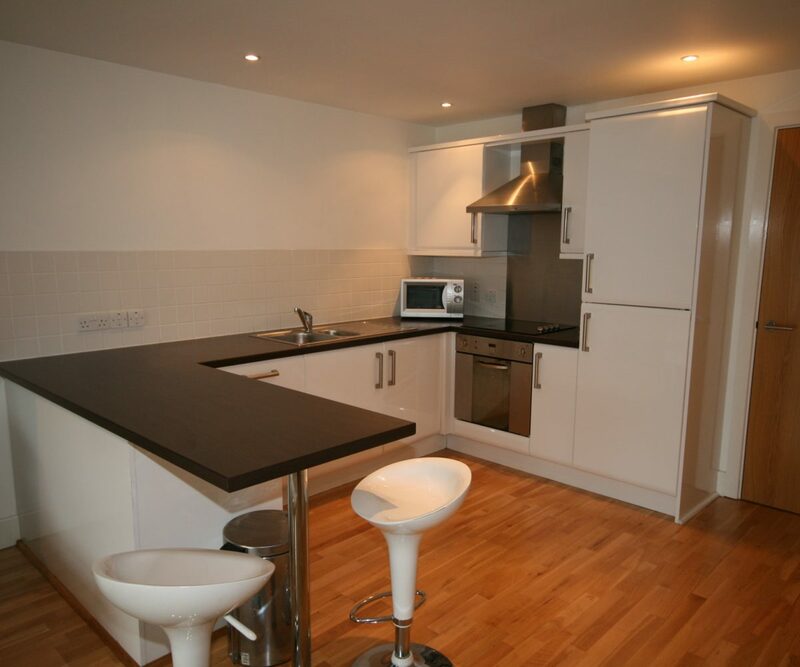 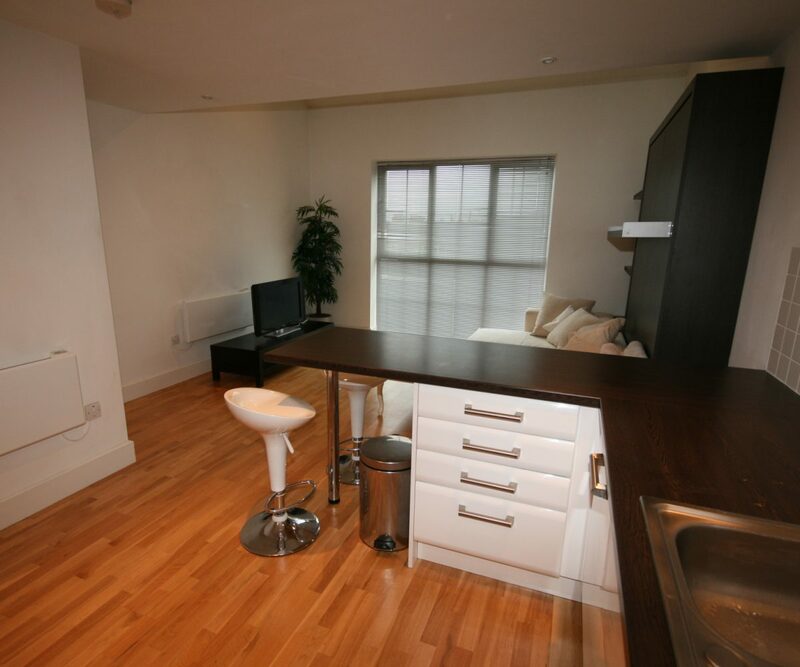 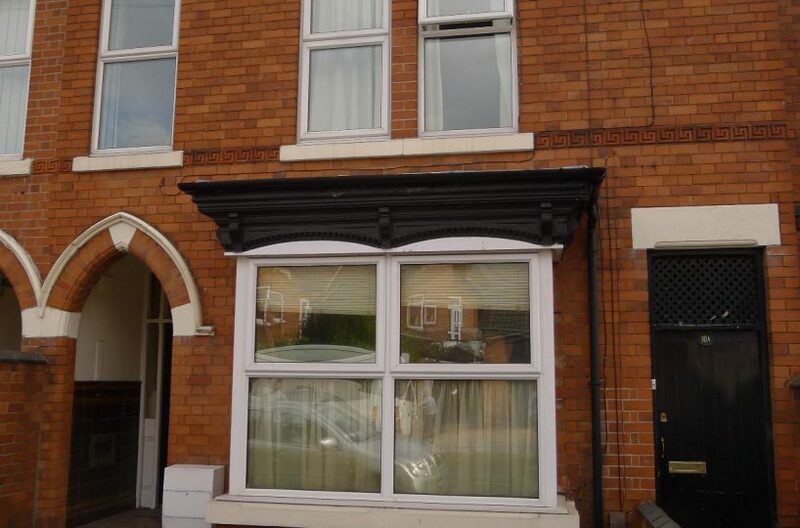 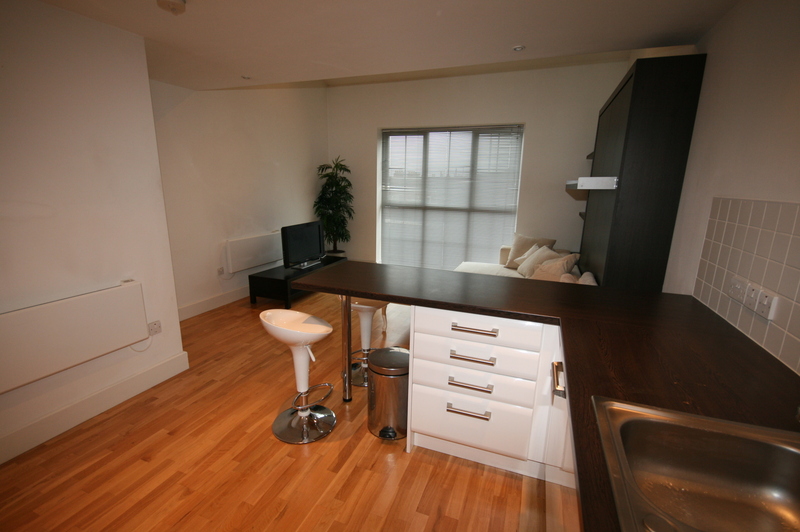 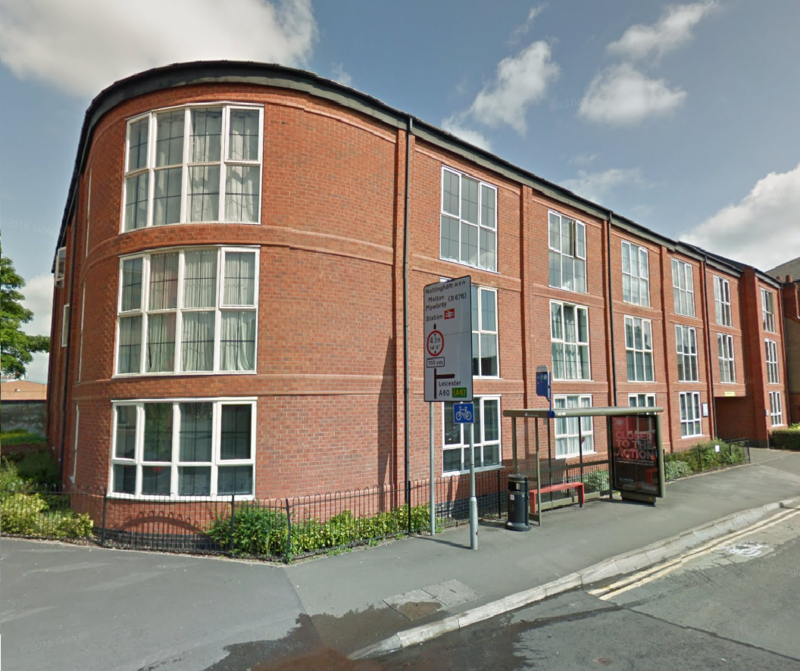 Loughborough student or professional accommodation, modern 1 bed duplex apartments to rent, close to the town centre and train station. 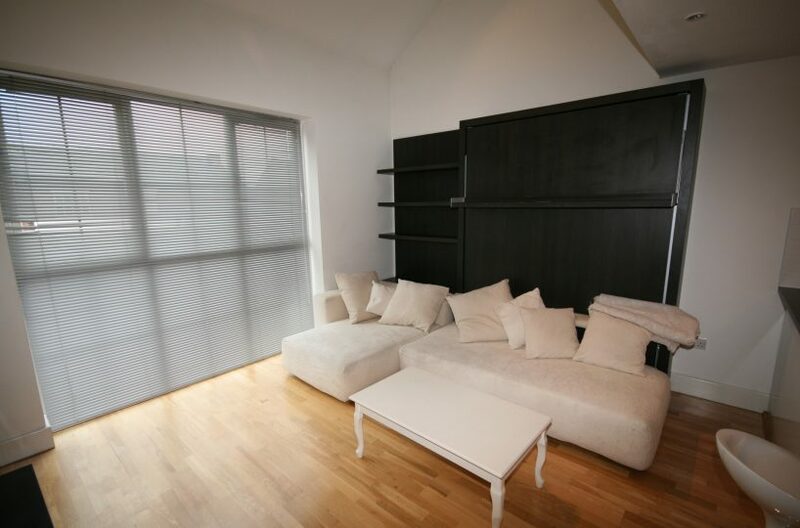 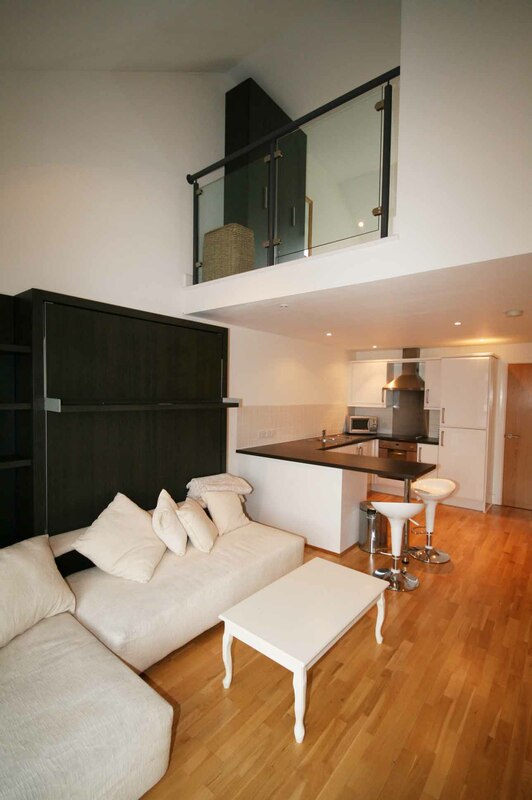 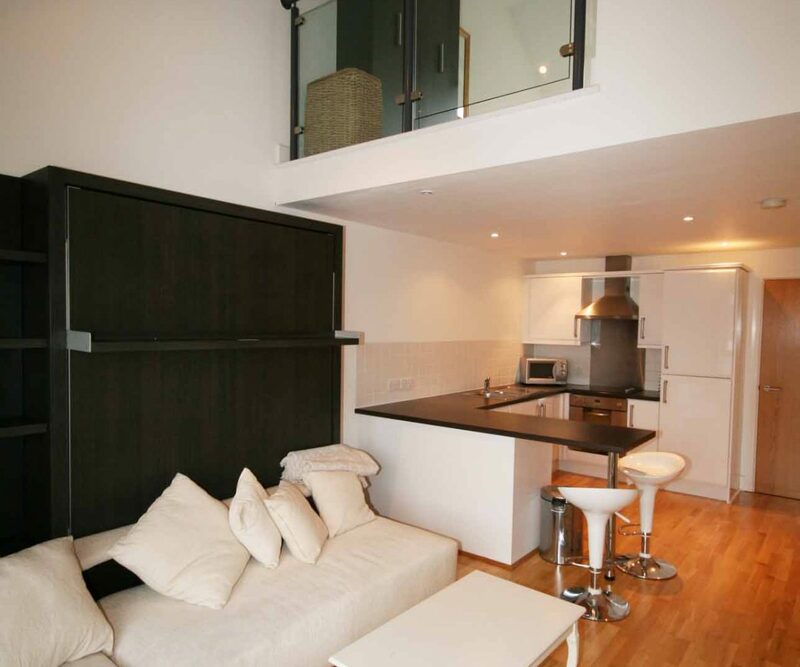 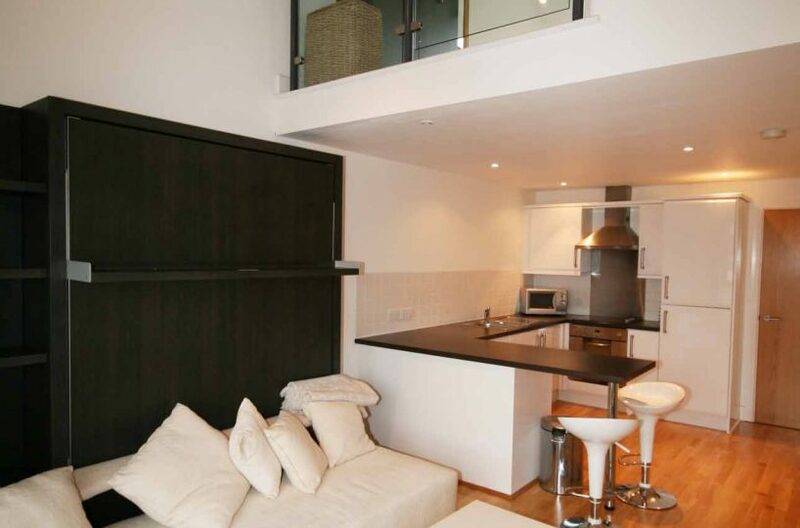 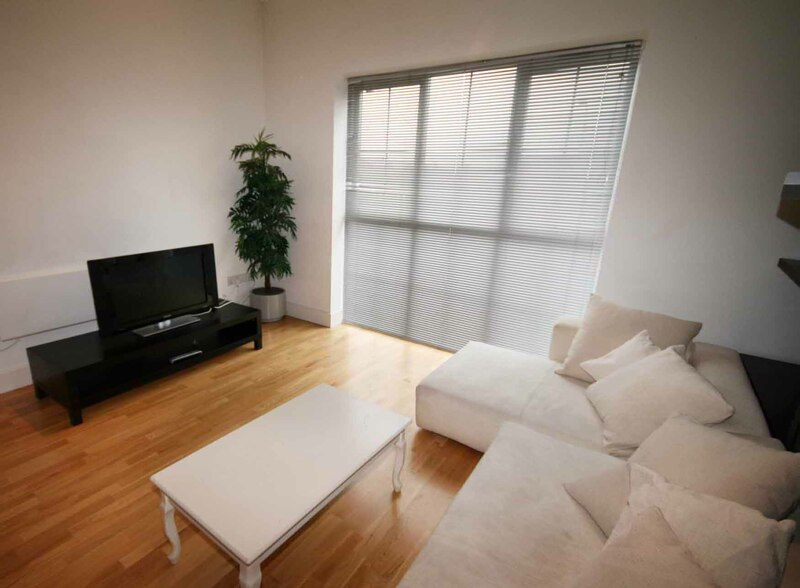 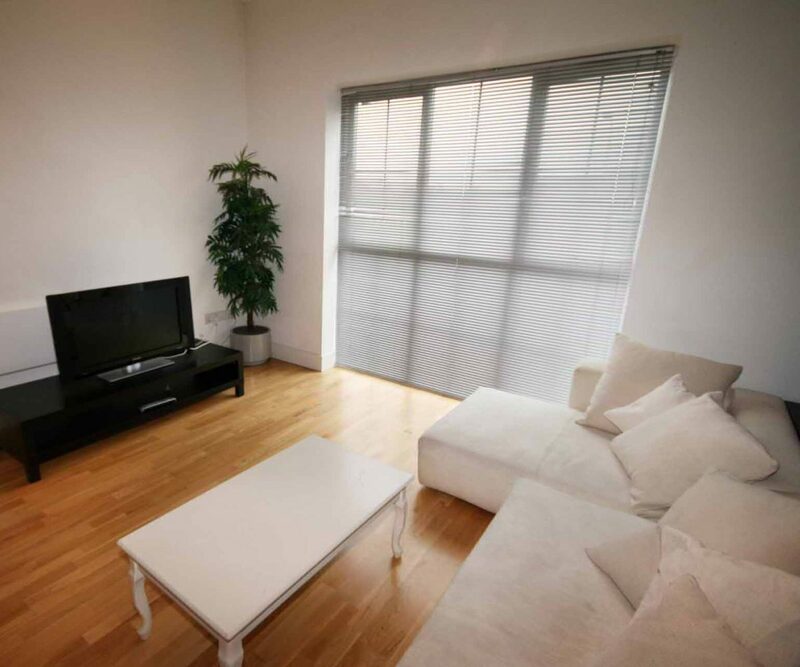 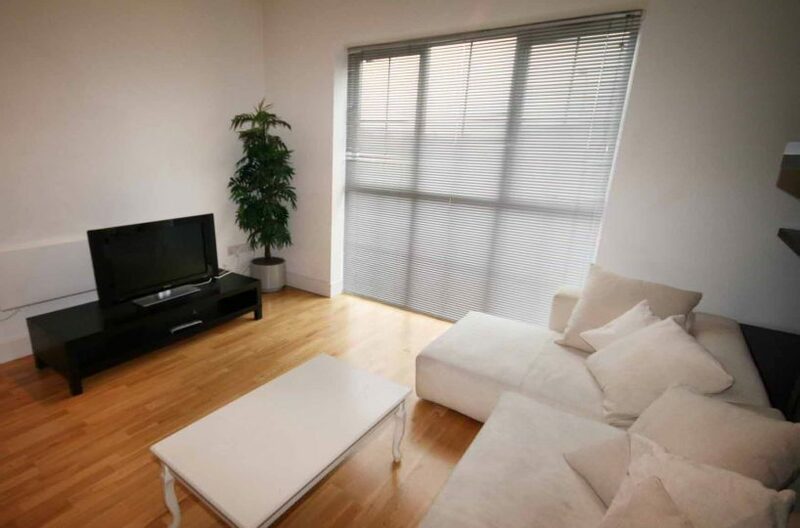 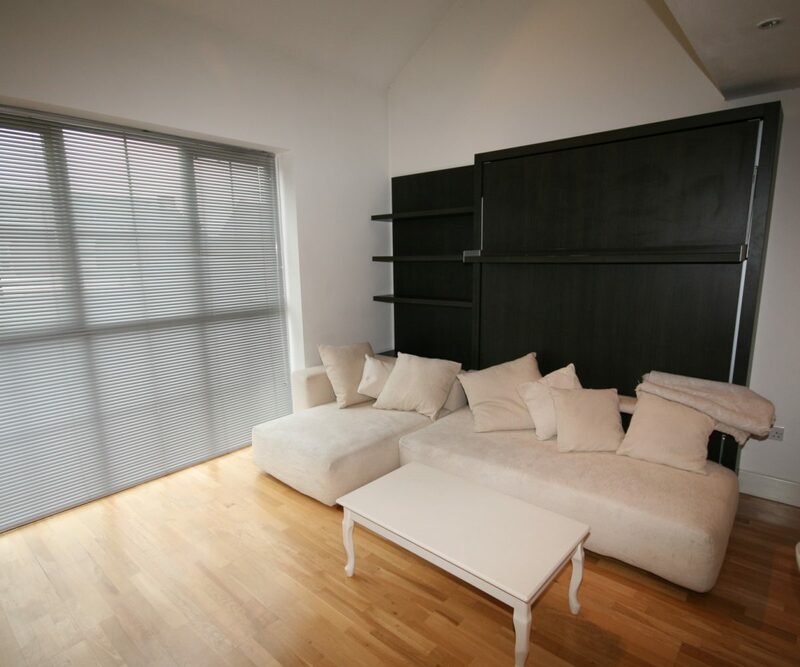 Villency Court modern duplex apartments have living dining kitchens with breakfast bar and stools, built in fold-away double sofa-bed, large floor to ceiling window, understairs storage room and oak wooden flooring throughout. 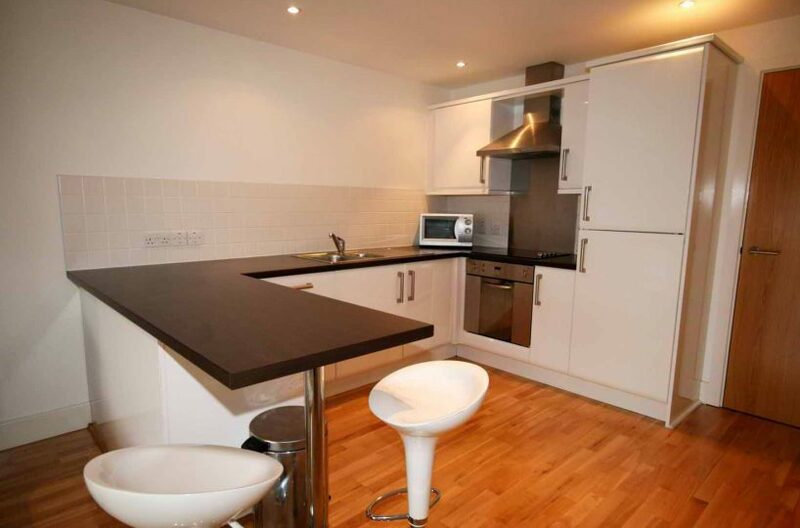 Luxury high gloss white kitchen with all built-in appliances, including ceramic electric hob and oven, fridge/freezer, washer dryer, dishwasher and microwave. 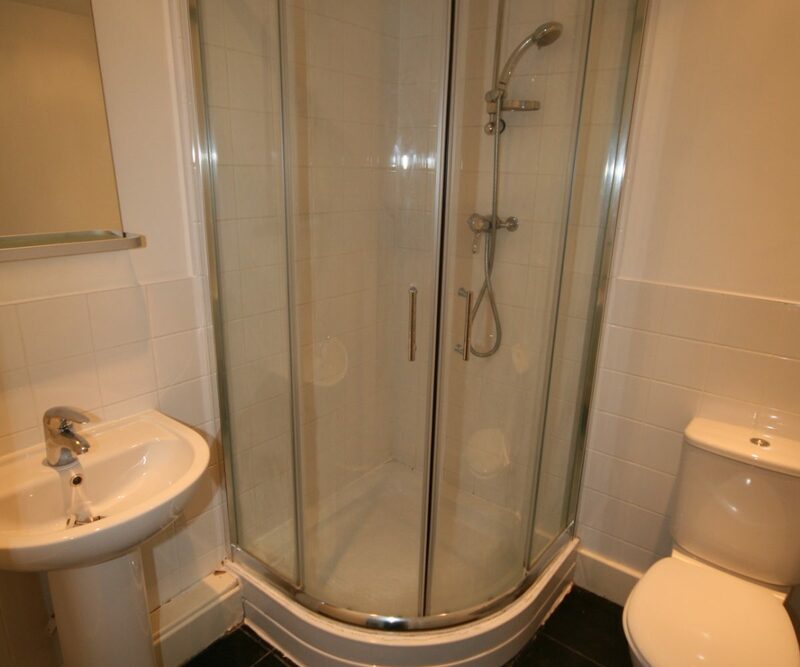 Downstairs there is a modern bathroom with a power shower over bath. 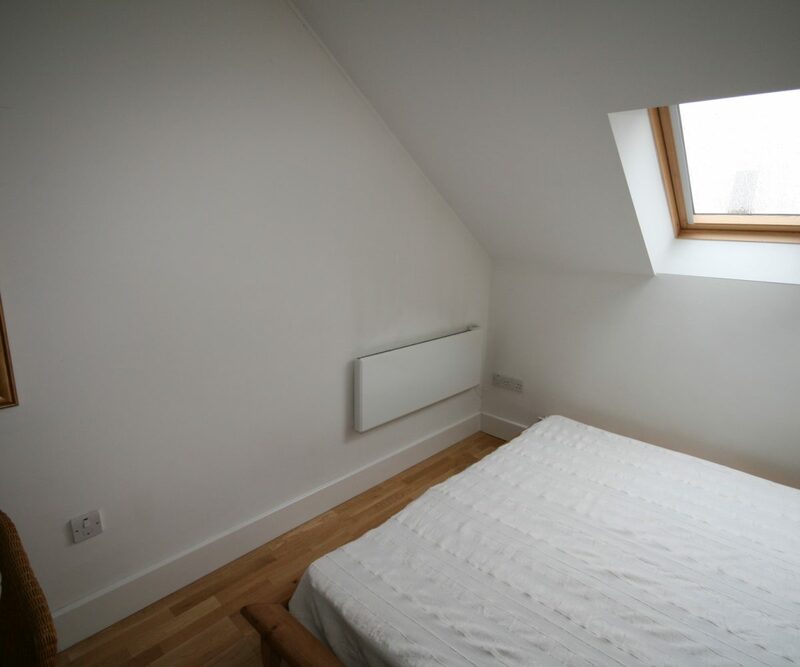 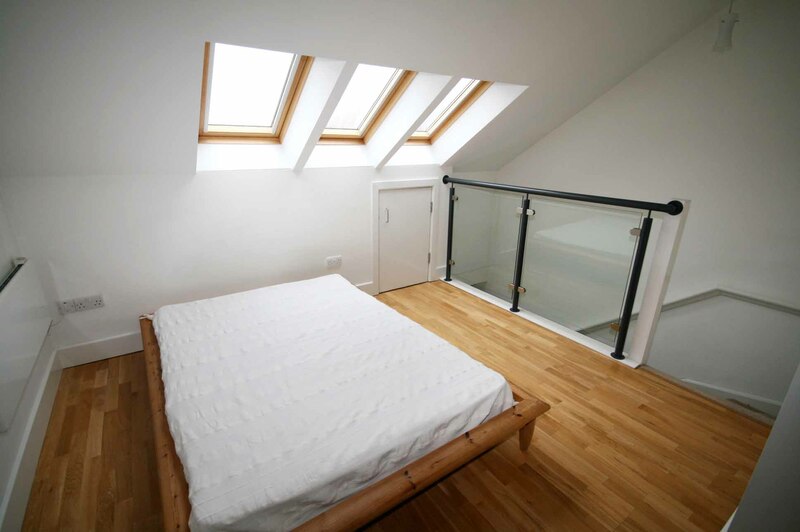 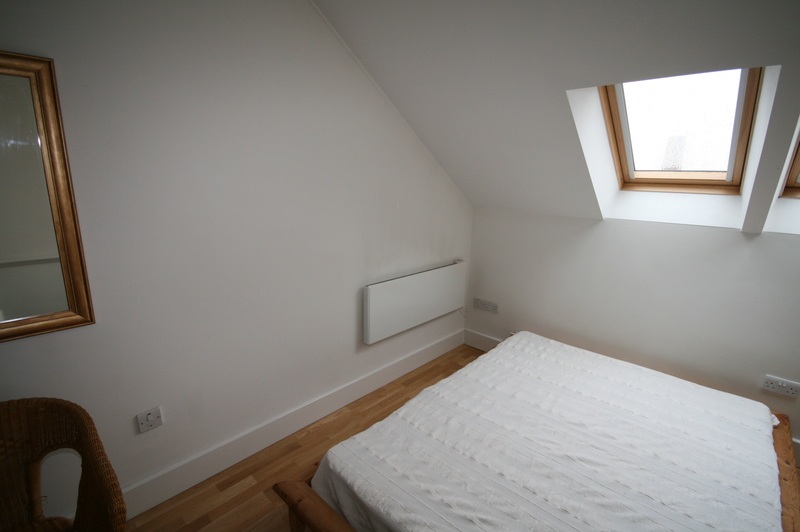 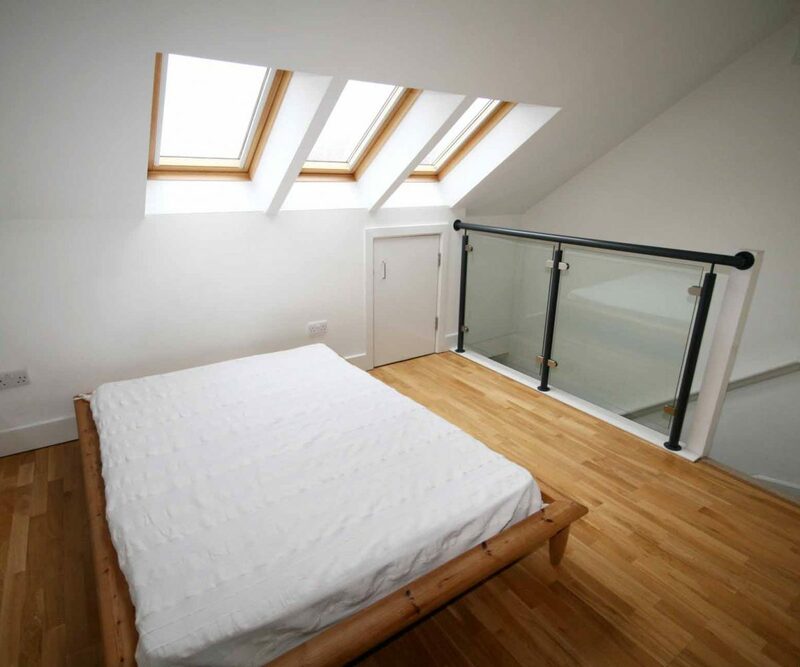 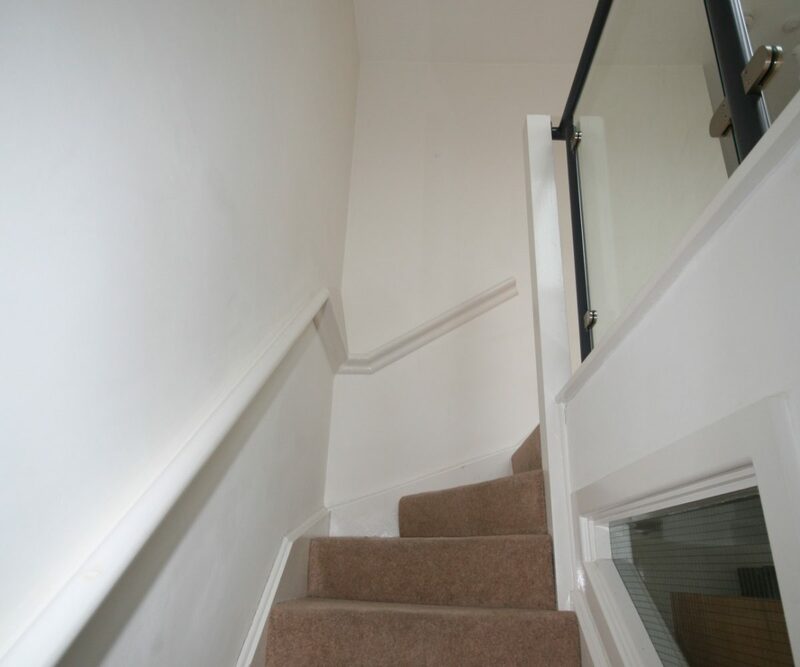 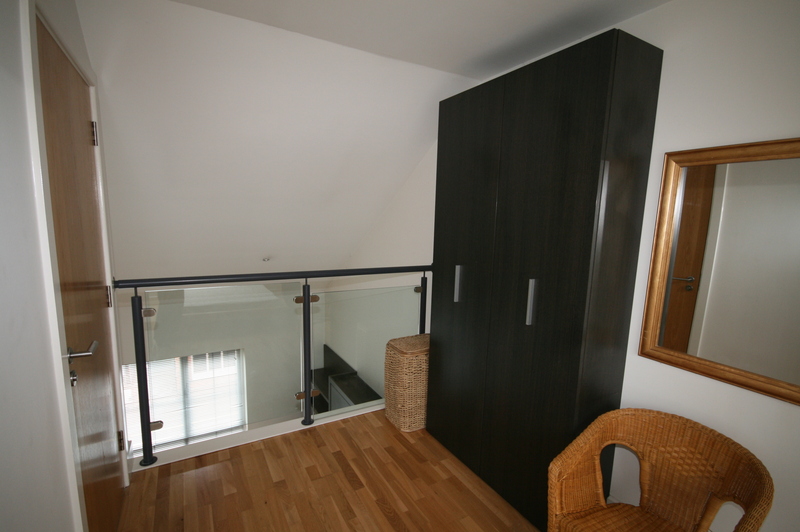 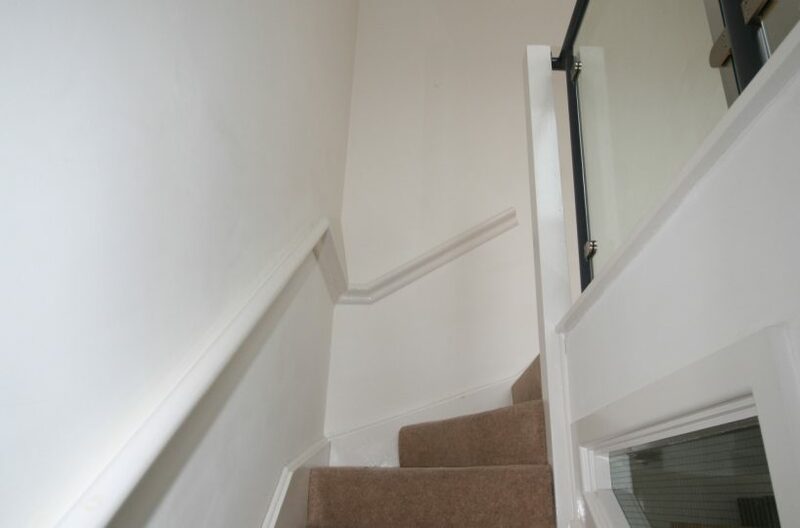 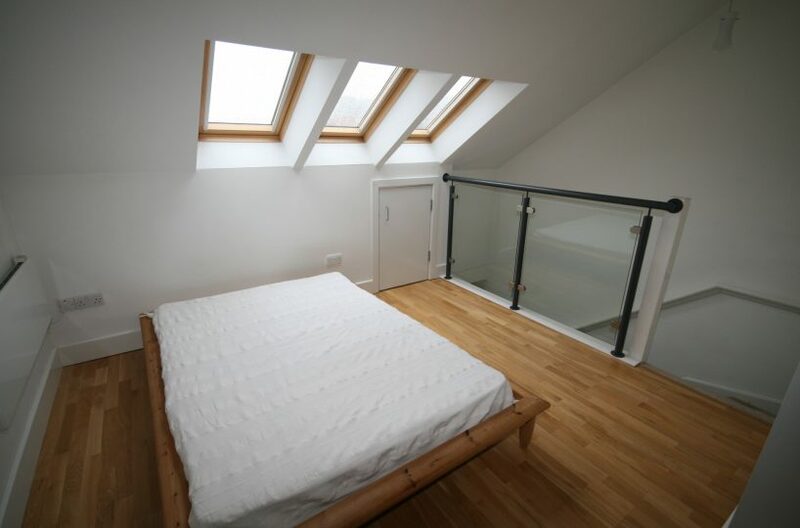 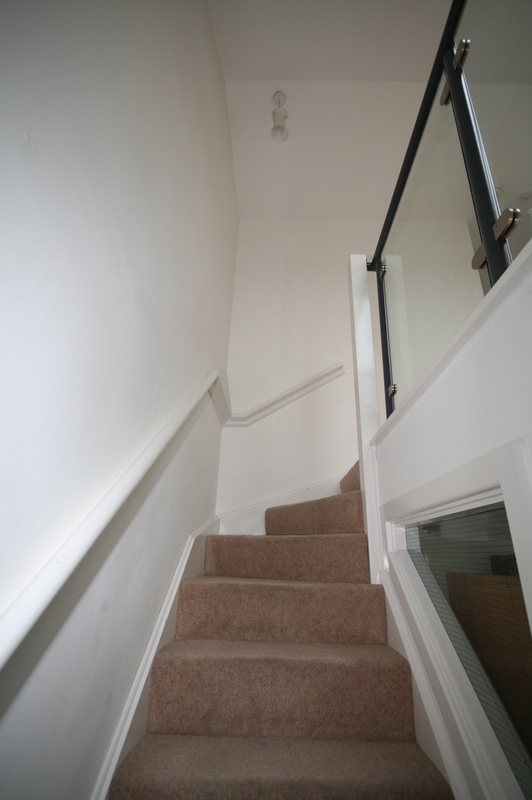 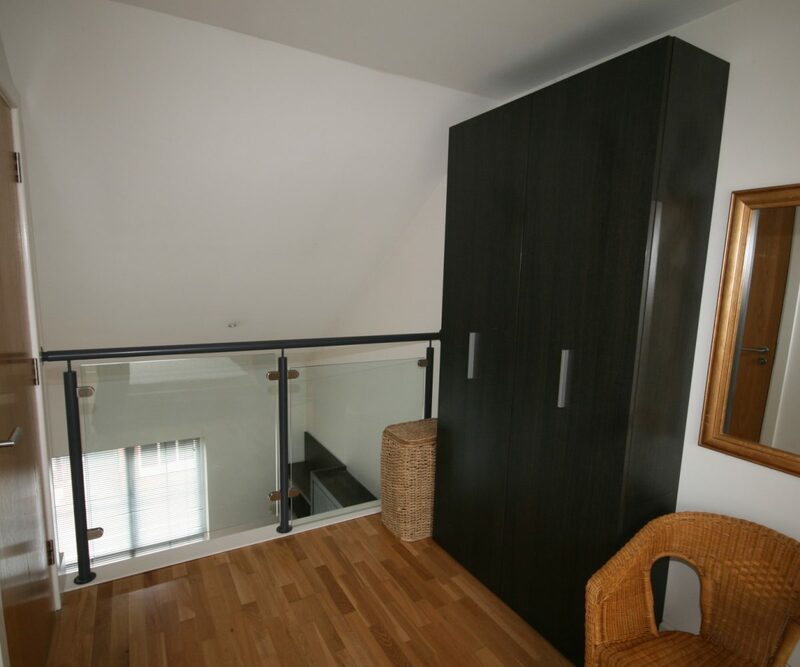 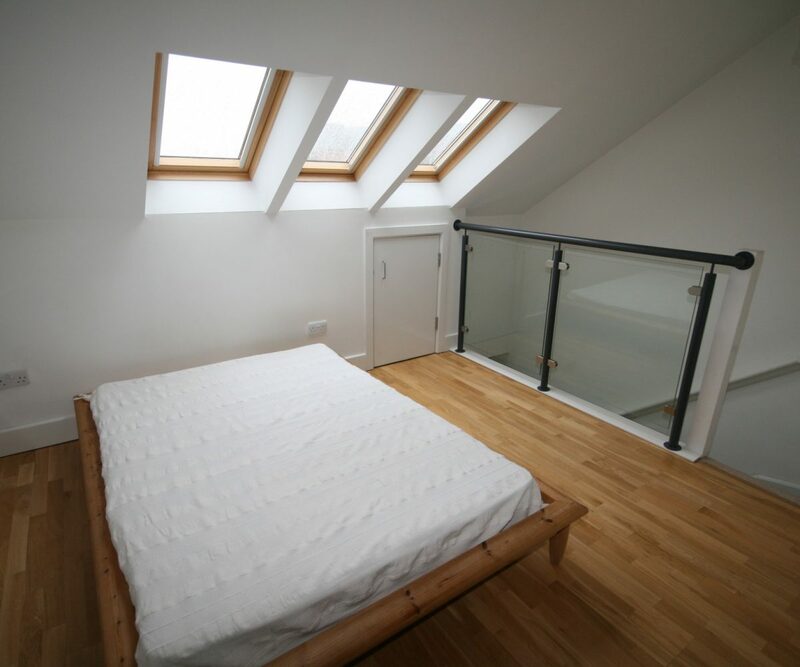 Stairs to mezzanine fully furnished double bedroom with velux roof windows, large storage area and glass balcony overlooking living area. 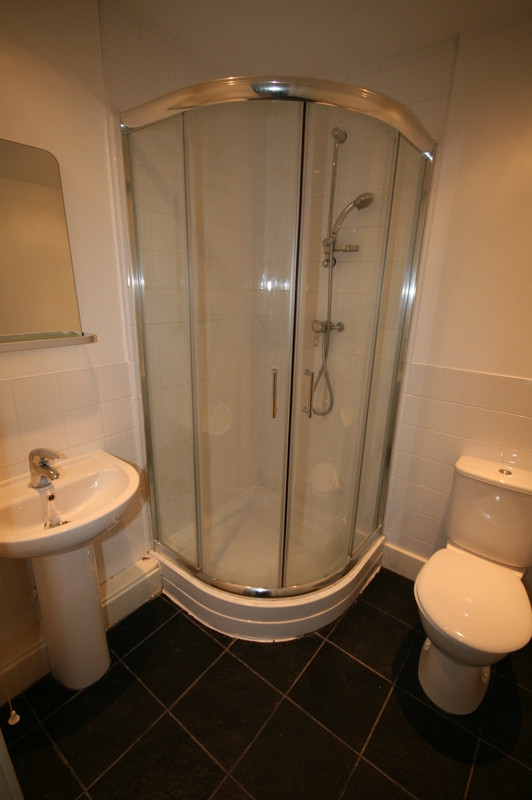 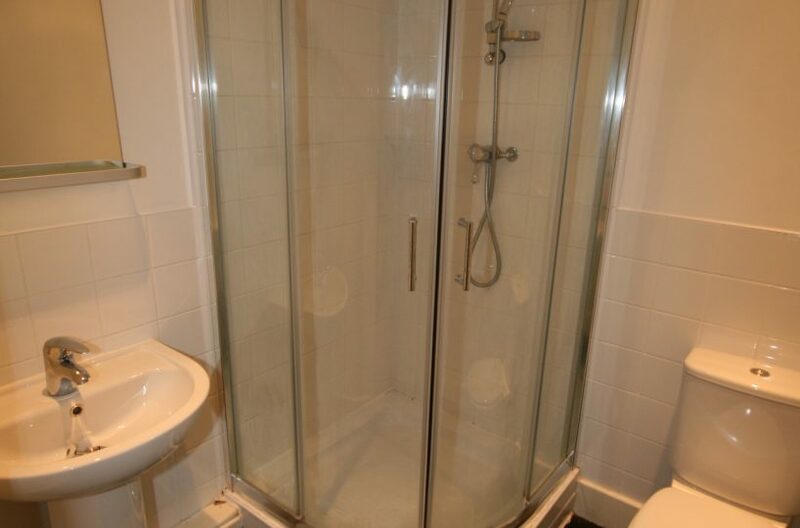 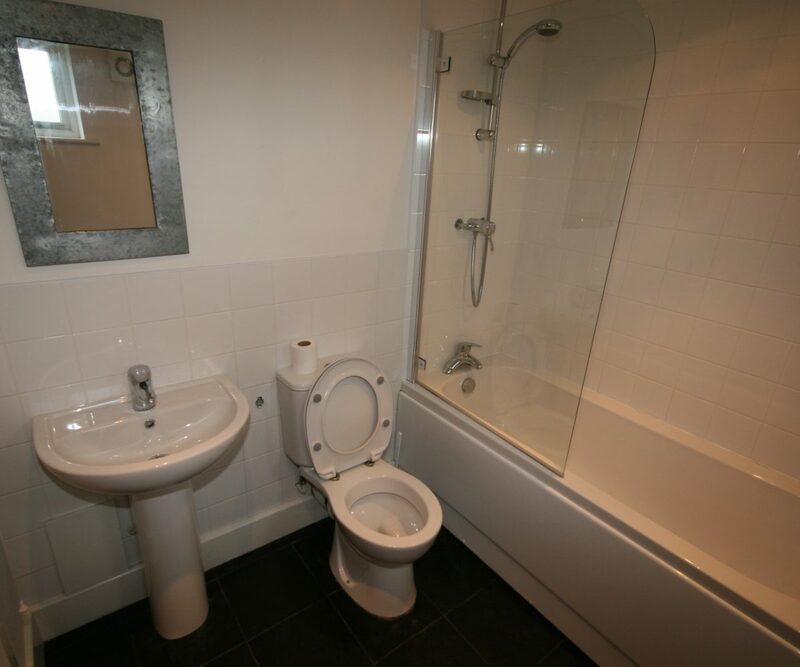 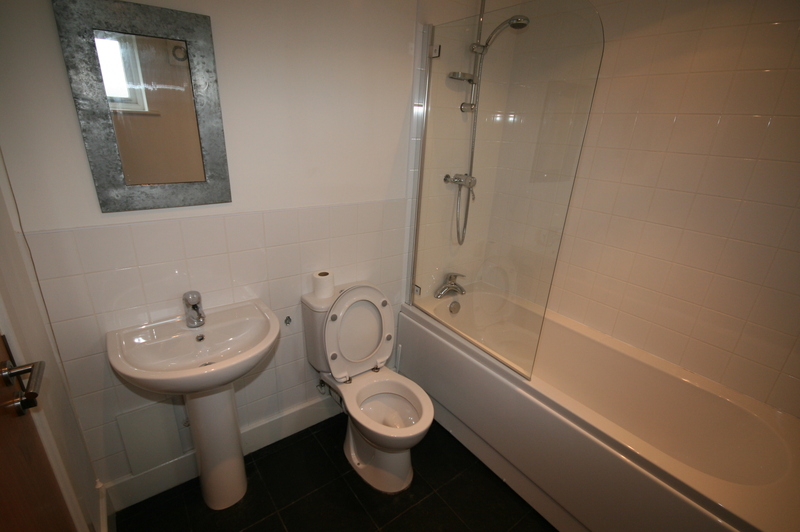 Apartments benefit from the additional ensuite shower room. 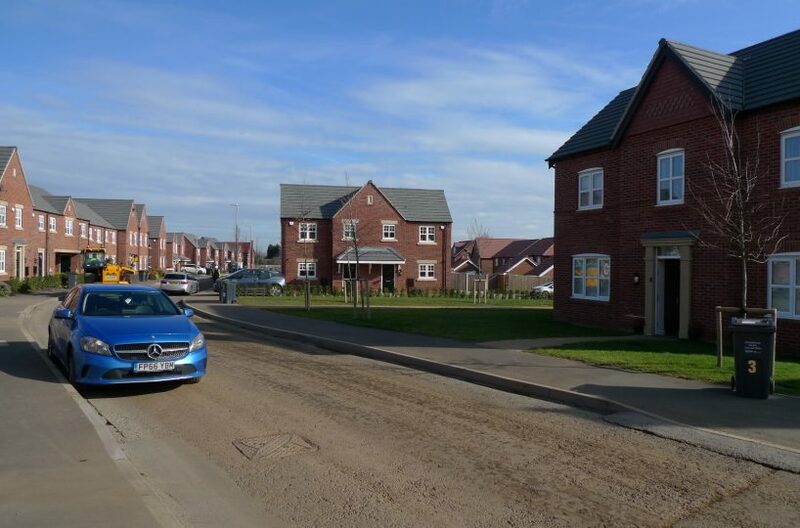 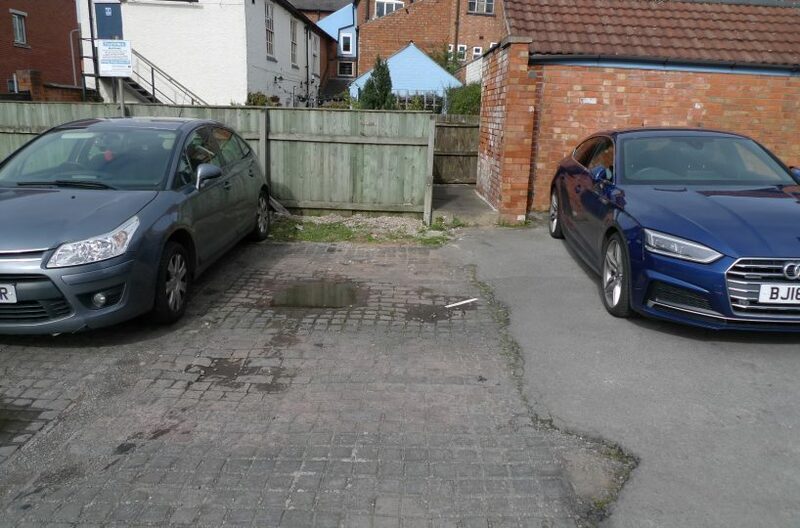 The apartment complex is very secure with remote operated electric gates which lead to the off-road parking area with 1 car parking space per apartment.